- Supports five-finger multitouch gesture. 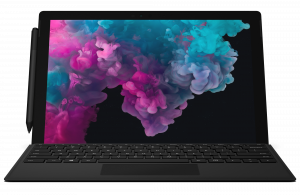 We appreciate hearing your thoughts, questions, and ideas about “Microsoft Surface Pro 6 Specs – Full Technical Specifications”. Please post respectful comments and on topic. We will be replying back to you as soon as possible. Share your idea about "Microsoft Surface Pro 6 Specs – Full Technical Specifications".